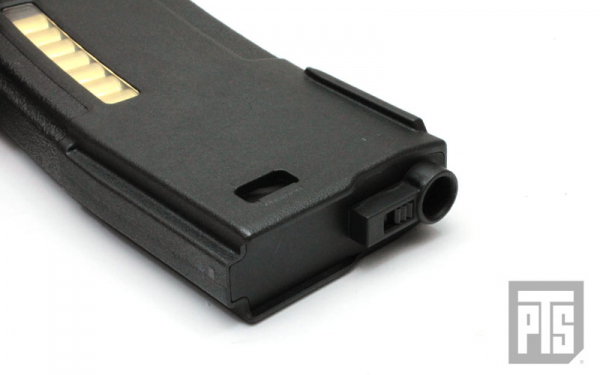 Another notable feature of the magazine is the base plate. 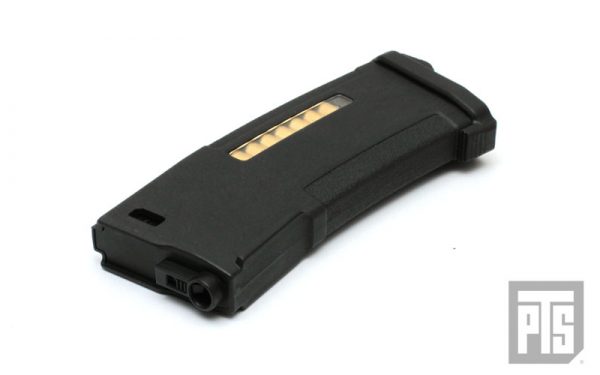 The bottom of the base plate has been designed with an angled surface and a rubber overmold on the lower face. This combination of features allows the end user to rest the gun on any flat shooting platform and have more surface contact with better traction and therefore greater stability. 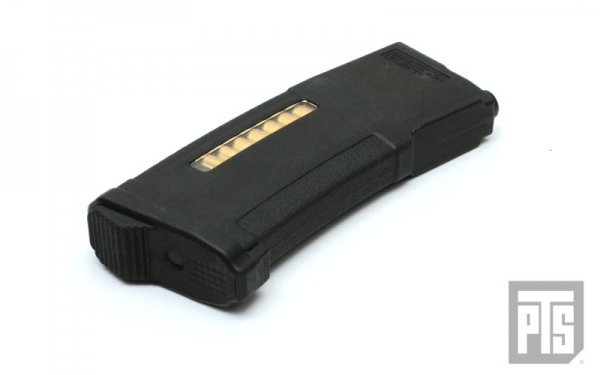 The angled surface is minimized to the point that it is functional, yet still comfortable in the hand when drawn from pouches and also not inhibit the closure of flaps on closed top magazine pouches. 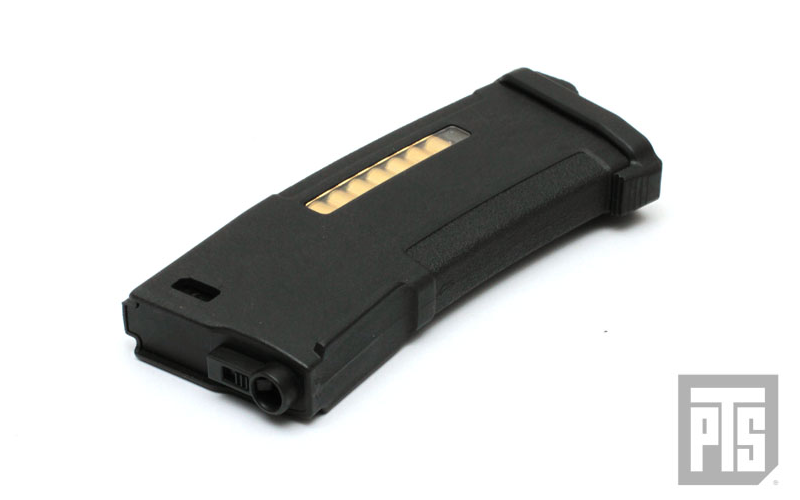 The of the base plate has also been designed with a ribbed ledge which promotes easier extraction of the magazine from deep magazine pouches and can help the end user with correctly indexing the magazine. 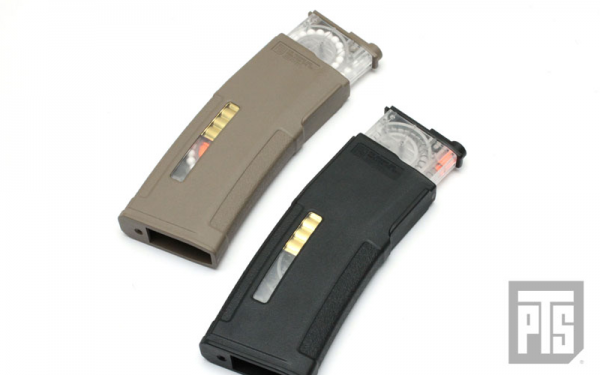 The EPM will come in a full range of colours including Black, Flat Dark Earth and more.